Tucson Biological Dentistry is committed to respecting our visitors’ privacy and protecting their personal information from misuse or authorized disclosure and complying with privacy laws. 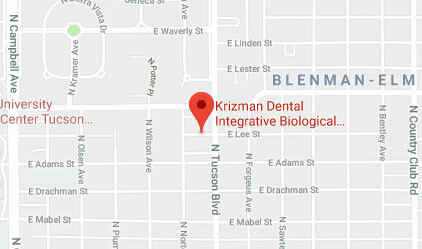 Tucson Biological Dentistry values its reputation and aims to maintain high ethical standards in the conduct of our business affairs. Tucson Biological Dentistry ("us", "we", or "our") operates www.tucsonbiodentistry.com (the "Site"). This page informs you of our policies regarding the collection, use and disclosure of Personal Information we receive from users of the Site. We use your Personal Information only for providing and improving the Site. By using the Site, you agree to the collection and use of information in accordance with this policy.